SMITHS Group, the global technology business, announces that it has launched a new education initiative in Watford today. The Smiths Technology Education Programme (STEP), which is being run in collaboration with The Royal Academy of Engineering and the EDT (Engineering Development Trust), aims to provide able young people from a wide range of backgrounds with the information and support they need to explore a career in technology. Statistics show that the number of graduates entering engineering careers in the UK is declining. Furthermore, some groups such as women, and students from certain ethnic minorities, are under-represented. CBI Director-General Richard Lambert recently commented on the growing skills shortage in the areas of science, technology, engineering and mathematics. As part of a five point action plan to help tackle this issue, Mr. Lambert suggested that students should be offered £1,000 per year to study these subjects at university. 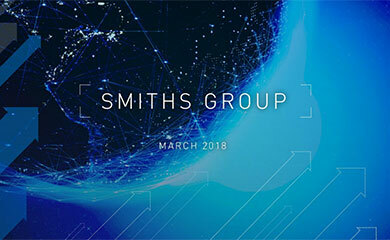 As a world leader in the design and manufacture of advanced technologies for the global threat and contraband detection, medical devices, energy and communications markets, Smiths is seeking to help address the skills shortage through STEP - a programme that is in line with Mr. Lambert’s plan. First, 20 bright students per year from diverse backgrounds who are studying maths and science at A-level will be offered bursaries, provided by Smiths, towards their part of the cost of attending an EDT Headstart course, where they will spend up to a week at a UK university exploring engineering and science prior to making their university applications. After they have completed the course, five of the Headstart alumni that choose to study an engineering-related degree at university will each be offered a Smiths Technology Award of £1,000 per year for a minimum of three years to help with the cost of their degrees. The bursaries will be administered by the Royal Academy of Engineering. EDT Headstart is an engineering education programme run by the EDT, whose schemes are affiliated to The Royal Academy of Engineering's Best Programme. This year’s Smiths students, who will each receive a Smiths Technology Award of £1,000 per year towards their degrees, will commence their studies in mechanical engineering, physics and mathematics in September and October. At today’s launch, the students were taken to Smiths Detection’s manufacturing facility in Watford where they examined some of the world’s most advanced counter-terrorism technologies before meeting with Smiths Group’s Chief Executive at Smiths Group’s head office in London. 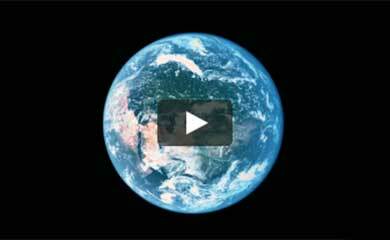 Founded in 1976, the Royal Academy of Engineering promotes the engineering and technological welfare of the country. The Royal Academy’s fellowship - comprising the UK's most eminent engineers - provides the leadership and expertise for their activities, which focus on the relationships between engineering, technology, and the quality of life. As a national academy, The Royal Academy provides independent and impartial advice to Government; work to secure the next generation of engineers; and provide a voice for Britain's engineering community. The Engineering Development Trust is an education charity whose aim is to help talented young people achieve their full potential, with particular focus on careers in engineering, science and technology. 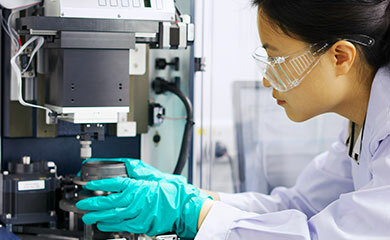 The Trust currently runs four programmes, which provide opportunities for years 9 and 10, 12 and 13, gap year students and undergraduates to enhance their technical and employment skills through industry-led projects, industrial placements and specialised courses: Go4SET, Engineering Education Scheme (England), Headstart and The Year In Industry. Headstart is a well-established education programme held in the summer at 30 universities providing Year 12/S5 (16-17 yr old) students interested in mathematics or science with informed choices regarding technology-based degree courses and careers. Run by the education charity the EDT, Headstart engages hundreds of students in the preview of the world of science, engineering and technology. The scheme provides the opportunity for students to spend a week at university prior to making crucial university decisions. Broad-based courses explore different branches of science and engineering, provide hands-on experience of practical problems and explain the various career routes. Focus courses concentrate on one particular discipline. A range of science –based courses consider subjects including renewable energy, climate change, nanoscience and the global environment. Increasingly, the highest proportion of both first engineering degree holders (28%) and Postgraduate engineering degree holders (25%) are entering finance and business careers, along with other non-engineering related professions. Female participation within engineering and technology is hovering just above 15%. Only 6% of professional engineers are female.